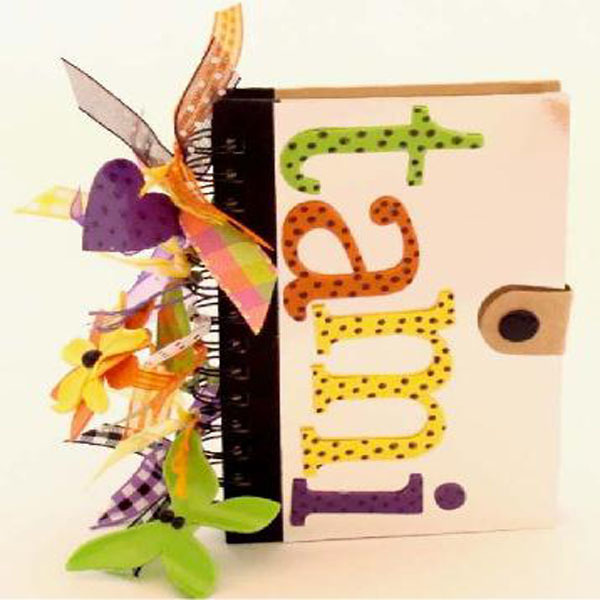 Project Description: Learn how to customize your own charming notebook. 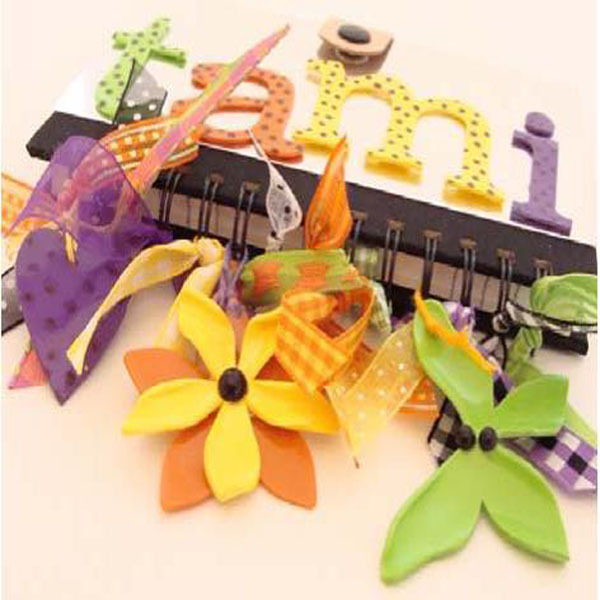 Die cut flowers, butterfly, heart and name letters out of Grafix Colored Shrink Film. Hole punch all pieces and bake according to instructions on package. Optional tip: Add more dimension by slightly curling the pieces while still warm. Adhere letters to front of notebook and use black marker to add polka dots. Thread ribbon through Shrink Film charms and tie onto wires of notebook. Embellish Shrink Film charms with rhinestones and polka dots.